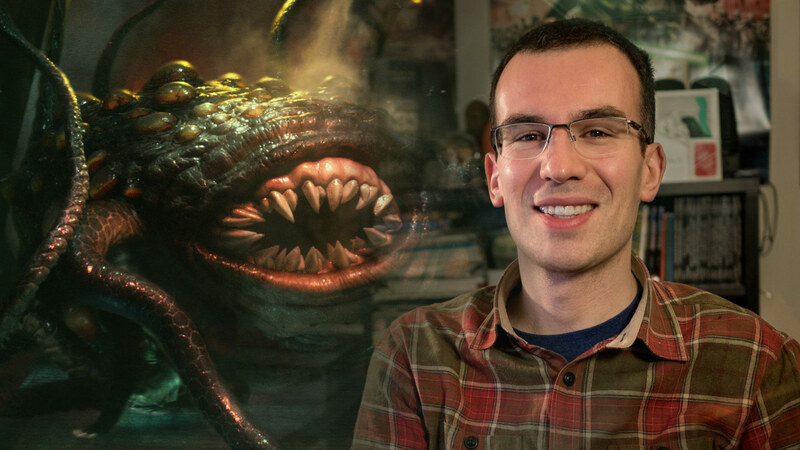 The ILM research and development engineer talks to StarWars.com about his career, from internships to rathtar tentacles. 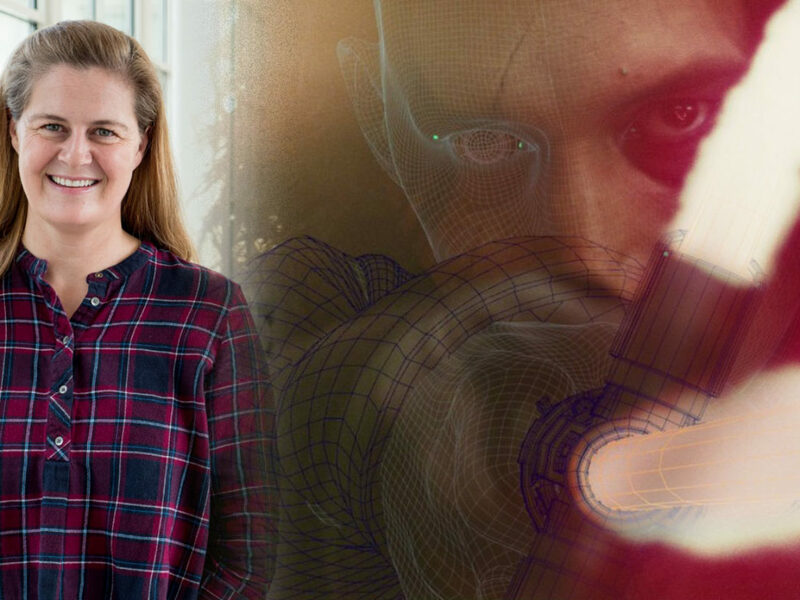 Inside ILM is a feature in which StarWars.com talks to the gifted folks — many unsung — at Lucasfilm’s legendary visual effects house Industrial Light & Magic. Here, we’ll discuss their career paths, experience, and unique contributions to a galaxy far, far away and film in general. Hailing from Toronto, Canada, Noah Lockwood grew up with a love of comics, sci-fi, video games, and animation. 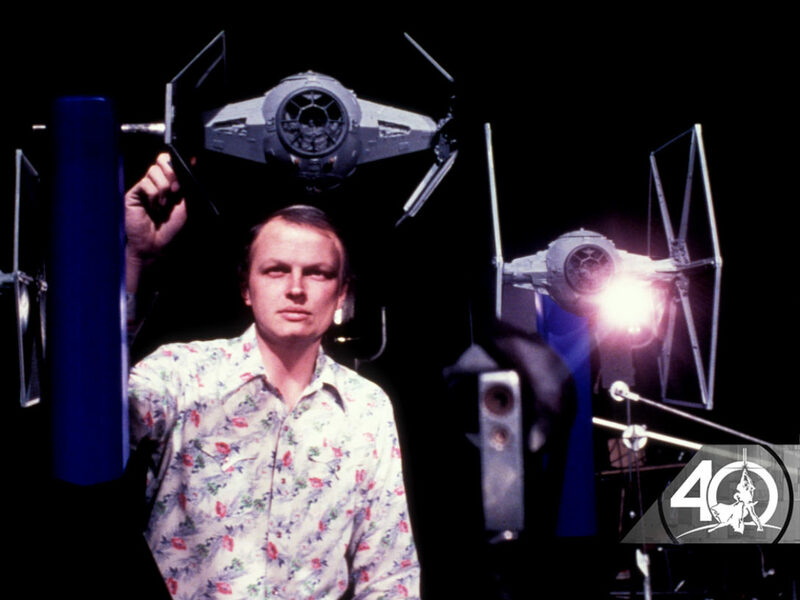 Chief among those loves, however, was Star Wars, and Lockwood — who lined up to see the Special Editions and prequels at midnight on opening day, and spent hours mastering Jedi Knight and X-Wing — decided as a teenager that a gig at Industrial Light & Magic would be his dream job. Just a few years later, that dream came true. 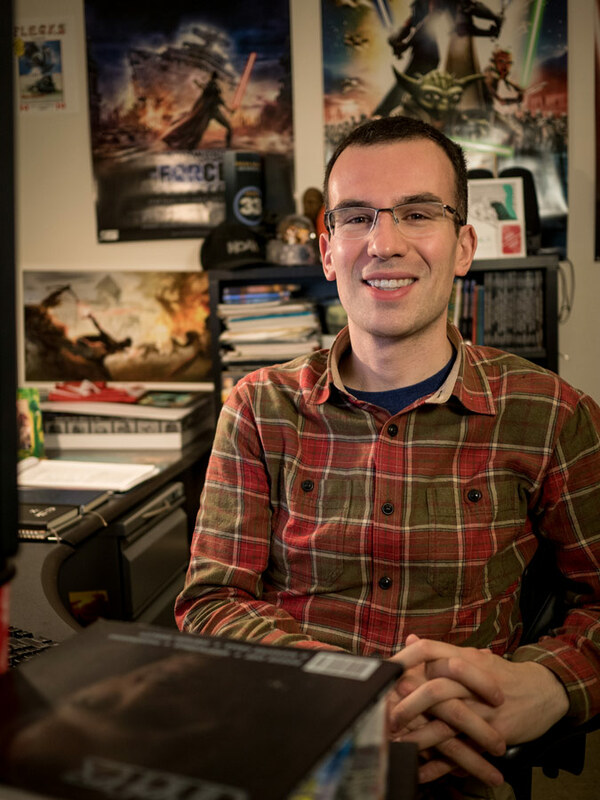 Today, he lives in San Francisco with his wife and daughter and is a research and development engineer on the Virtual Production team at ILM, developing tools for Star Wars effects and more. 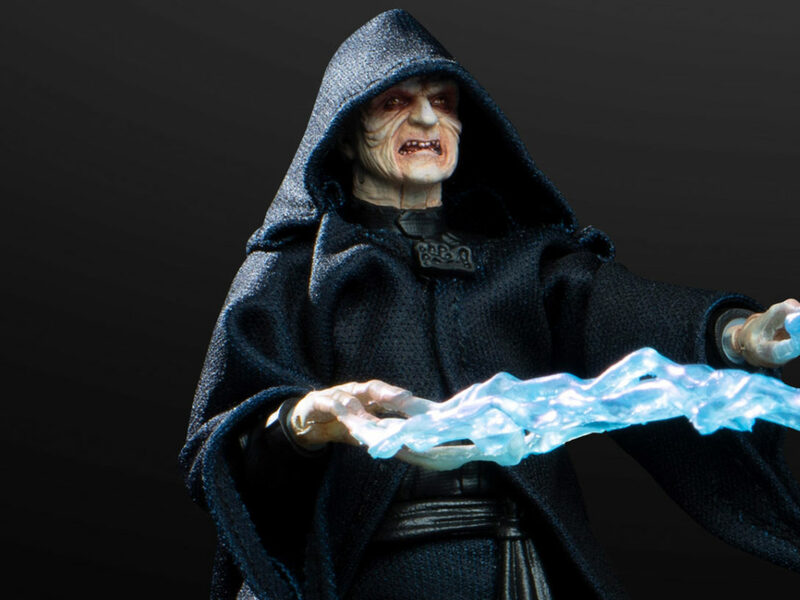 StarWars.com spoke to Lockwood about how he got in the ILM door, contributing to The Force Unleashed early in his career, and helping to bring one of Star Wars‘ deadliest monsters to life. StarWars.com: To start, tell me how you came to Lucasfilm and ILM. 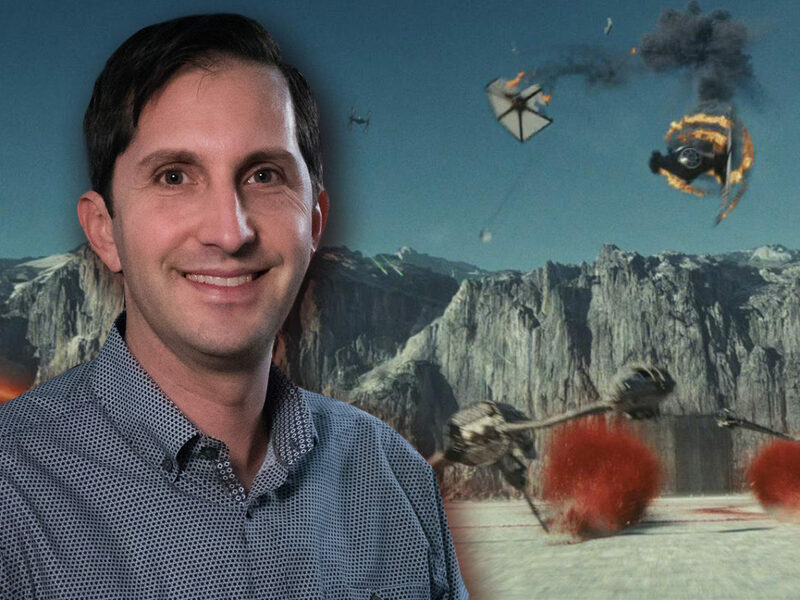 Noah Lockwood: I grew up watching movies with ILM effects and playing LucasArts video games, so [I was] like a big Star Wars fan for my whole life. Once DVDs became a thing, I started watching all the behind-the-scenes stuff I could find. That got me really interested in visual effects and especially computer graphics. So that was something I started to pursue a bit more from the computer-science side, the programming side of it, rather than the artistic side. I ended up starting graduate school at the University of Toronto and pursuing academic research in computer graphics. I started going to Siggraph and I started attending every ILM presentation I could find, because it was like a super version of the the behind-the-scenes DVD. They would talk about just how they did one particular sequence. My first Siggraph, they talked about Episode III. So it was like, “Here’s how we did the crowds of Wookiees and here’s how we did the final battle on Mustafar with all the lava effects.” It was amazing and really inspiring, so I went to talk to folks at the Lucasfilm booth and I ended up talking to a recruiter from the R&D department. He and I were able to make a connection and talk about a possible internship. I was able to come back and intern in spring/summer 2007. StarWars.com: You told me previously that during your internship you worked on The Force Unleashed? Noah Lockwood: Yeah, at that time there was an effort to use ILM tools for game development at LucasArts, so a lot of the interns were working on visual-effects-type things. I was with a bunch of folks from ILM, specifically R&D, who were adapting our Zeno tool [ILM’s in-house digital content-creation package] to be used for game development. So that was an amazing thing because I was sort of working on ILM stuff but also on LucasArts stuff, and both of those meant so much to me. 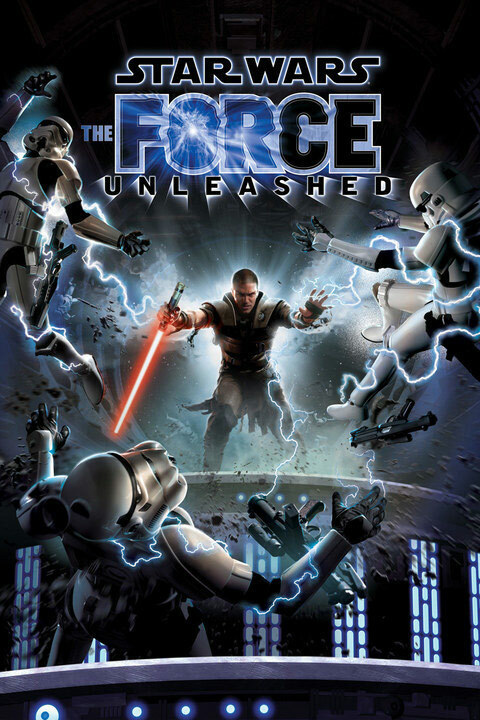 Being inside for game development on Force Unleashed was really amazing. Then I came back and interned the next year in 2008, right when Force Unleashed launched. I came back just in time for the launch event so I got to see it finished, as well. I came in when it was well underway, but it was amazing and really inspiring to see everybody that loved Star Wars so much working on something new in the Star Wars universe together. StarWars.com: And then I think you and I started on the same day. I remember we were in the same orientation. Noah Lockwood: Yeah, yeah. I came back full-time in 2012 before I finished my PhD. StarWars.com: So, tell us about coming on full-time. Noah Lockwood: That was really exciting. By that point it was my third orientation and my third first day, in some sense. But that was really exciting. For a long time as a kid or a teenager I would talk about the dream of being at ILM. So at full-time I came in as an R&D engineer. Coming back full-time was really amazing, like a full fulfillment of a dream, more so than the internships. By this point we weren’t doing much LucasArts stuff and then LucasArts wasn’t really a thing for that much longer, but there was some connection with LucasArts at that time on real-time rendering technology and so on, which I sort of got exposed to. And some of that technology we are still using today, even. StarWars.com: They hadn’t left their desks in all that time. Noah Lockwood: [Laughs] Yeah, exactly. It was fun. There were a lot of folks that I was there for their first day in like 2007 and 2008, so it sort of feels like we started together, even though I had a brief period where I went back to school. StarWars.com: So what Star Wars stuff have you worked on? 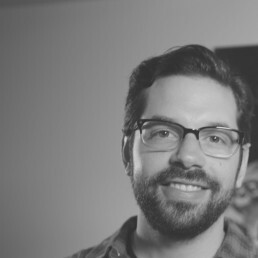 Noah Lockwood: So, in R&D we work on general tools for ILM artists. That doesn’t always necessarily mean we are working stuff that you can directly point to something on screen. But some of the things that I have worked on have ended up more directly effecting the things on screen. The biggest one is definitely the rathtar tentacles for The Force Awakens, which was a really exciting project. We had seen a presentation by Pixar about some of the technology they had built to control tentacles on their characters, starting with Monster’s University and leading into Finding Dory. One of our senior creature dev artists, John Doublestein, saw that and knew the rathtars were coming up and felt like that was a really good fit for how he thought we could build some controls for the animators. So he and I started working on a prototype inspired by what Pixar had shown us, but adapted for the way we knew people at ILM would have to work. So it was a really cool partnership where I was working on the math and the algorithms and we built lots of different prototypes. John is an expert on how to take that sort of powerful algorithm and present it in a way that animators can use in the best way possible. So it was this really cool partnership where I was doing the math and the research and he was really making it usable by the artists. There were a lot of ways to control the tentacles that we never had before. We had done tentacles for Davey Jones’ beard [in Pirates of the Caribbean], especially. But this was built on some of that experience that John was familiar with. StarWars.com: Were you worried that you wouldn’t be able to figure this out or was it just a matter of putting in the work? How were you approaching it? 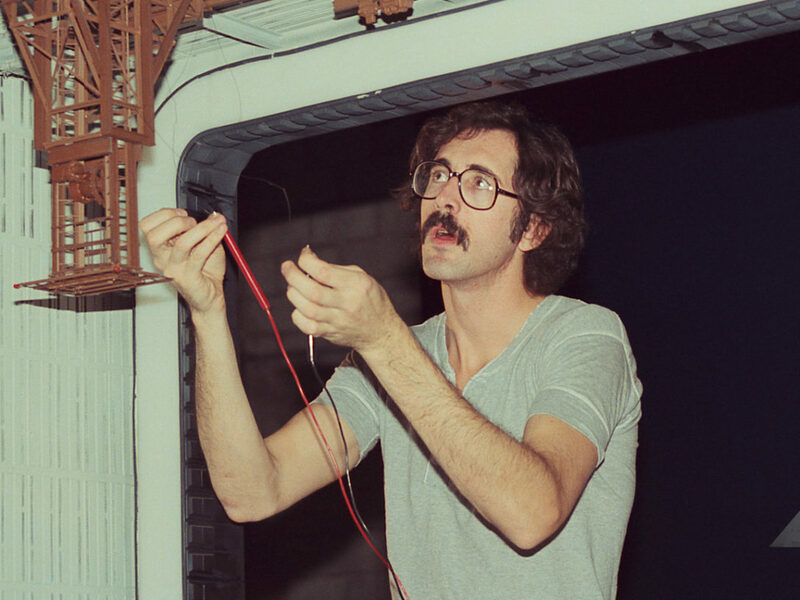 Noah Lockwood: It was very similar to some of my experiences in graduate school, where in research you sort of build prototypes, and you have failed ideas but they get you a step further than the last one. Just tinkering and trying to make it work. It doesn’t always happen but in that case, for the tentacles, everything came together. 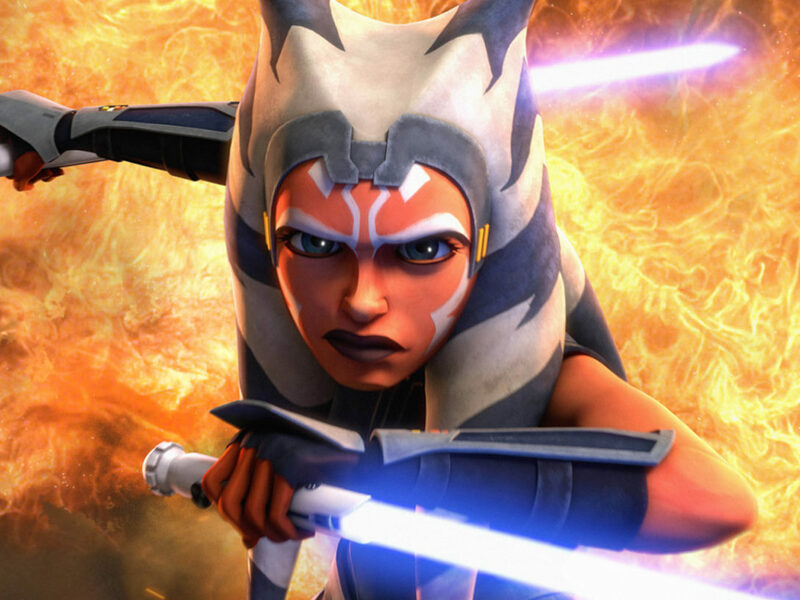 StarWars.com: And was that the end of the process once it was passed off to animation? Or was there more of a back and forth? Noah Lockwood: Yeah, especially early on there was definitely some back and forth. Some of that John could fix himself and just change the way the tool presents itself and the controls that the animators have, but there were some fundamental changes that we had to go back and make in terms of how the tentacle behaves. But then once they really get up to speed and get going it’s best not to change those tools up from under the animators, so they know exactly what they are working with. StarWars.com: In layman’s terms, what kind of program did you come up with? What did it allow the tentacles to do? Noah Lockwood: Right, so the way the characters are normally animated in computer animation is that there’s sort of a series of bones that lie inside the character and you sort of control the way the character moves by bending the bones. 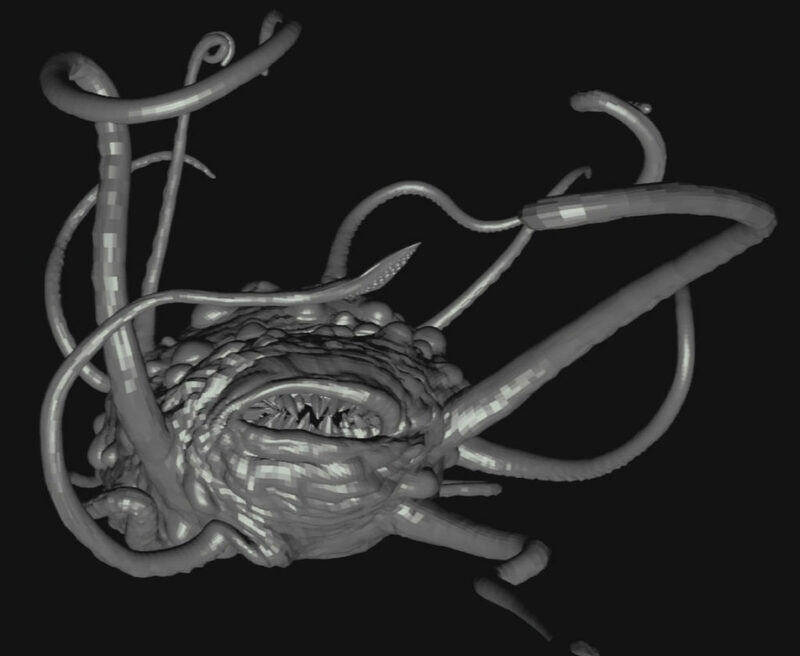 A tentacle can be animated by having lots of very small bones, so you have a very long chain. But it can be very difficult to control because you have these dozens, perhaps hundreds, of bones that you have to control. 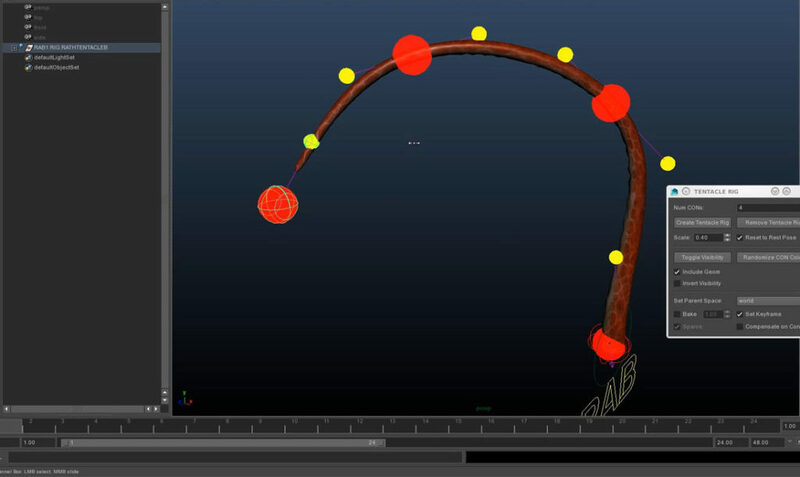 Instead, our tentacle tool works by having a small number of controls which build a mathematical curve and automatically lay all of that bone chain along the curve. So then you are just controlling how the curve behaves and how the chain is laid out on the curve and how the chain twists around this curve, how it stretches along the curve, and how it sticks to particular parts or slides on the curve. That’s much easier to control because you just have a few different controls for the shape of the curve. It’s much easier. It’s fewer things to manage in your head, than worrying about all these different bones under the hood. StarWars.com: And you also worked on something for Rogue One. Noah Lockwood: Yeah. I’m on a team in the research and development group, which works on tools for virtual production, and the idea of those is to bring more live-action or film production workflow into visual effects. So that sometimes involves motion-capture and it always involves seeing things presented in real-time, seeing computer graphics in real-time. One of the things we do is virtual camera work, and that was something Gareth [Edwards] used on Rogue One because my understanding, not having met him, is that he’s a very hands-on filmmaker and cinematographer, and the idea behind all CG sequences in Rogue One is they wanted all CG sequences to have the same feel of his live-action cinematography. So, we have a system here in San Francisco, but we also built one for deployment in London so that Gareth could come in and pick up, sort of, an iPad, essentially, a tablet, and move it around. And it was being tracked by our system in 3D space and then he’d load up a virtual scene, like the gate above Scarif, and we would have the Star Destroyers set up and so on and he could just move around them like he was in 3D and his tablet is showing him a window into this virtual world. Noah Lockwood: And then we can do other things, like make it change the scale of it. They also did some work officially for the first trailer, the shot where the shadow comes across the Death Star, that the construction is being completed. Gareth did that with our system. So he was able to say, “Let’s make the Death Star the size of a basketball so I can go around it and find the right shot and place the lights appropriately.” So we can record his movements, play it back, and then the record of his movements and his camera work comes into ILM and can be cleaned up if it’s a bit jittery, because it is just someone holding a tablet and so on, then that is used in the final version of the shots. StarWars.com: And then the real benefit is once you develop these things they can be used for any movie. Noah Lockwood: Exactly! Yeah, we use it for visualization on lots of different films, as well. In general, we are doing a lot of work in visual production to be used at any stage, as well. You can use it to visualize things before production has really started. Like Alan Tudyk came prior to the Rogue One shoot and we put him in a motion-capture suit on his stilts, put motion capture markers on the stilts that he was wearing, and connected that to a real-time version of K-2SO, so that he could move around and look at the screens and see how Kaytoo was moving when he moved. And he used that to inform his performance on set. StarWars.com: Well, to sum it up, how has your experience at ILM been? And what would you tell people that want to get into the industry and might want to one day contribute to Star Wars in a similar capacity? 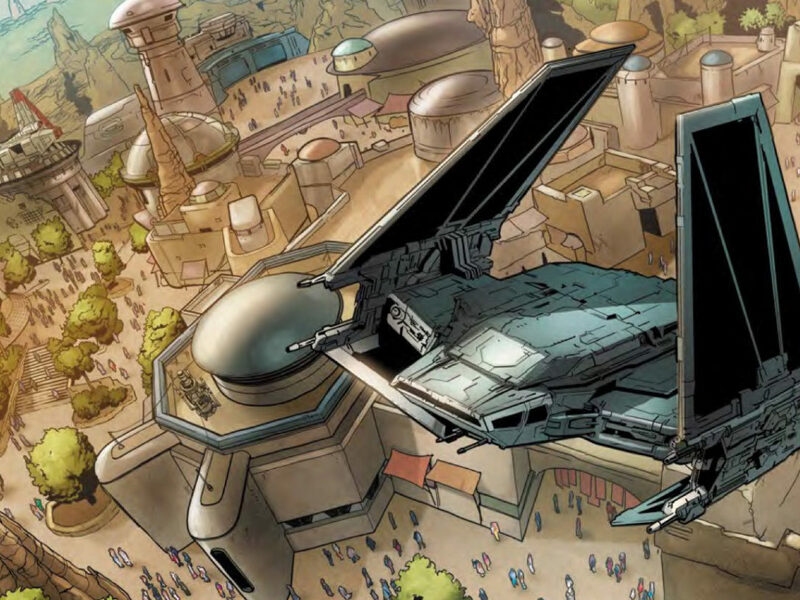 Noah Lockwood: It is pretty exciting and pretty amazing to work somewhere where you get to contribute to Star Wars, and it’s inspiring every day to see the skills of all of the artists and engineers around me. They are just some of the best in the world, and seeing them every day is really inspiring. In terms of getting here, it is tough, and everyone has their own story of how they got here. 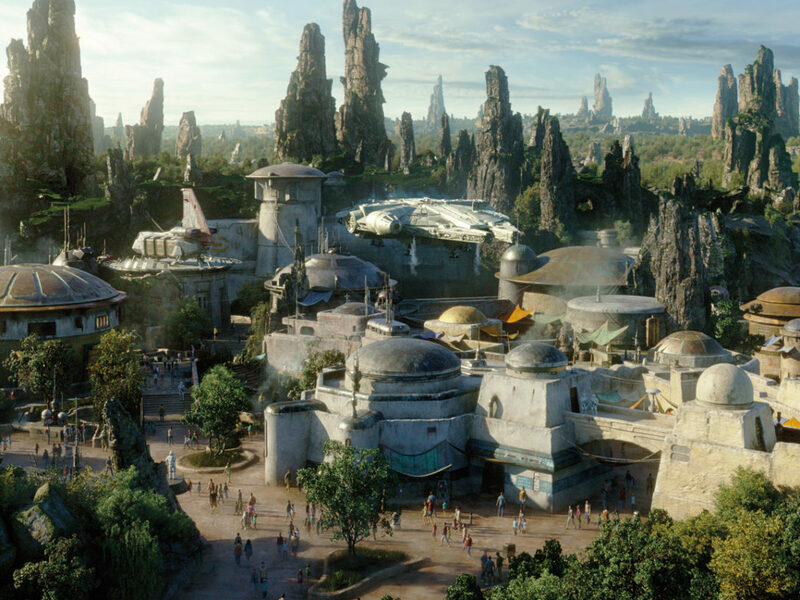 But I think everybody who works here knows how much ILM’s work has meant to them as an audience member and has had this as a goal in their mind. Not everyone here loves Star Wars, I guess, but most people do and everyone loves movies. You have to. So people have come here from different ways. Mine was sort of through academia, in some sense. But other folks have come through other work in visual effects or television. I know people who have mechanical engineering backgrounds, or who worked in art restoration. So there’s a ton of different ways to get here if you work towards it.